Hi I’m Linda Hart Tabory and I know what you’re going through. Over the past 20+ years my focus has been on helping families plan for the inevitable moment when they realize their aging parents or grandparents can no longer handle personal, financial, and legal affairs. We help families create effective power of attorney relationships, guardianships, wills, estate planning, and mediation – often as they are juggling a diagnosis of dementia and failing health of a loved one. A Power Of Attorney (POA) is a written authorization to represent or act on another’s behalf in private affairs, business, or some other legal matter. That’s the “legal” definition, but that fact is that a properly worded power of attorney document is the foundation of any good estate plan and if it is not worded precisely according to the statues of your state, the person you’ve chosen will not be allowed to legally act on your behalf. Take advantage of our experience to help you get this key piece right. When a person is no longer able to make decisions about health care, finances, or other aspects of life, guardianship may be the next step. We work to help sort out guardianship issues and avoid them altogether if possible. An effective power of attorney document is a key tool in avoiding unwanted guardianship assignments. Our view is that a guardianship is the legal path of last resort because it removes your wishes, but at times poor planning or no planning forces families to bring the court in to make a decision on their behalf. Probate is both a description of court and a type of proceeding –a source of some confusion. 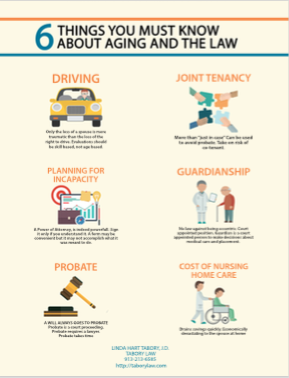 Guardianships go into probate court, a will is a ticket to a probate proceeding that tells the court who you want to have manage things and how they are to be managed. altogether knowing that everything is accounted for in the event of death. Long-term-care expenses can be financially devastating without proper planning and navigating the ever-changing aspects of Medicaid qualifications has become increasingly difficult. Effective estate planning allows you to construct an asset allocation plan according to your will and still qualify for Medicaid benefits. This is a changing landscape and an area where working with an extremely experienced Elder Law attorney is a very good idea.
" 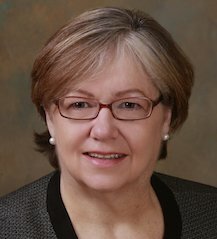 I have worked with Linda for several years and ﬁnd her advice and insight to be unmatched. She gives all of herself to her clients and is a lawyer that actually cares. I do not hesitate to refer clients to Linda." The 3 Most Common Problems, Sound Familiar? Failing to plan can be financially devastating, but it’s not too late to start. Ideally, a family would create an estate plan well in advance of ever needing to execute on the plan and the plan would include routine up-dates. But, even though you may not have planned for your financial and health related decisions it’s rarely too late to put make your wishes known or update them as things change. Just do it now! A Will does not allow you to designate how to handle your health and financial matters while you are alive. Ready For Help & Answers? your parents wishes and gets everyone on the same page.